Learn to lead and manage more effective and efficient projects. Global Information Technology is registered Project Management Institute (PMI)® Registered Education Provider (R.E.P.)®. Project Management Professional (PMP)® certification is the most important industry-recognized certification for project managers. 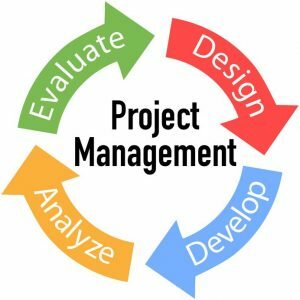 Globally recognized and demanded, the PMP® demonstrates that you have the experience, education and competency to successfully lead and direct projects. You deserve individual attention — that is why Global IT provides highly qualified, industry experienced certified instructors for each course. Still time to prepare for PMI PMP Exam using PMBOK 5! Our 1st Quarter 2018 Schedule is posted! The PMI PMP Exam is changing to reference PMBOK 6th Edition on March 26, 2018. There's still time to prepare and take the 'old' 5th Edition Exam. See our course schedule of public courses or bring us IN-HOUSE to train a group of your teammates. Group discount available.